This is an easy, but delicious, restaurant Halibut Recipe that is especially good served over wild rice or pasta. The green chilies and Pepper Jack cheese give it a "southwestern flare." 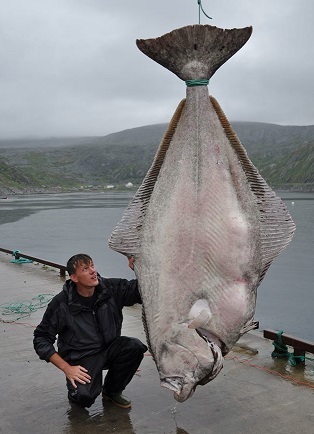 This particular seafood is just as popular with the restaurant customers (guests) as is salmon. Both fish provide recipe and menu flexibility. Grilled, baked, broiled, fried... as long as the recipe is right and the fish is quality, people love these seafood items. 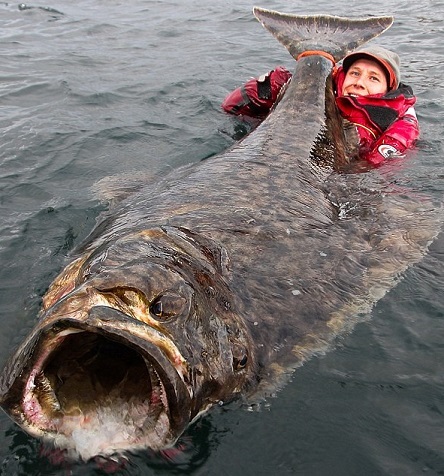 So one day a restaurant guest asked me if we purchase whole fresh halibut and fillet the fish ourselves. We always purchased fresh product. If unavailable, then "flash frozen." But to answer the guest, I simply showed her this picture. She understood immediately. 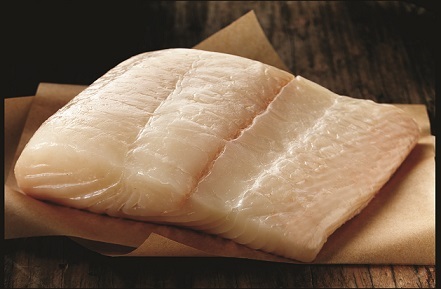 Fresh or flash-frozen fillets or steaks are the way to purchase the fish. Preparation time: about 30 minutes. Serves 4. Pour over the fish placed on rice or pasta or with rice and pasta. That’s all there is to it! You have a winning restaurant recipe! 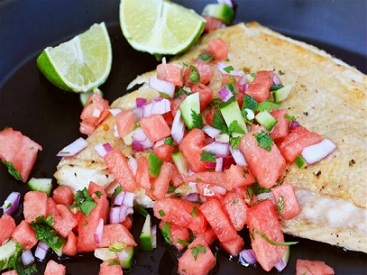 Like the fish in this recipe, this website is "stuffed" with great restaurant recipes, some easy and some more elaborate. But every one of them has met the ultimate test! Paying restaurant customers have ordered the food made from these restaurant recipes over and over again. That’s the way it has been for over 30 years. Thanks for your visit. ENJOY this restaurant seafood recipe and the many others on the website.